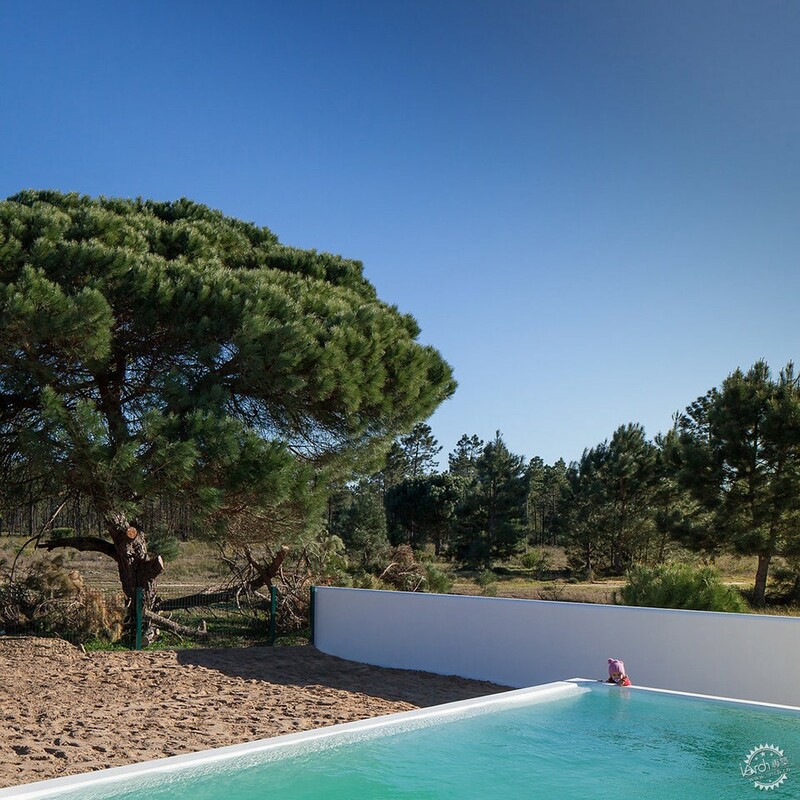 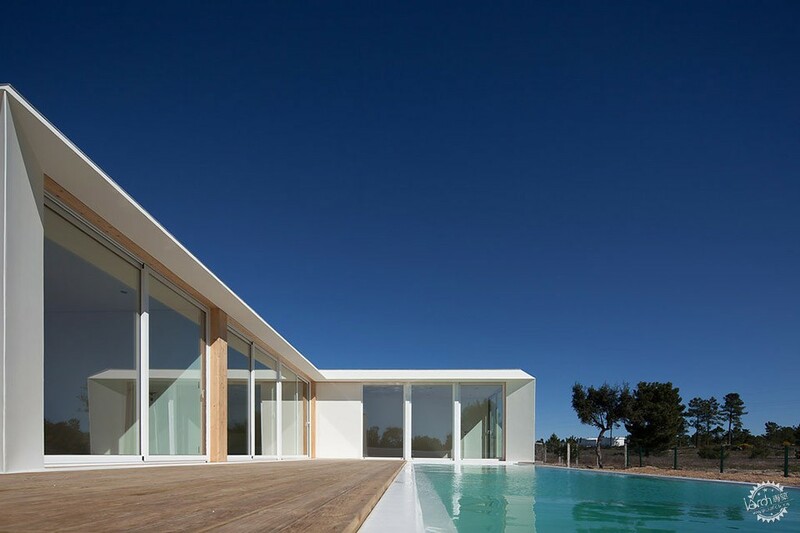 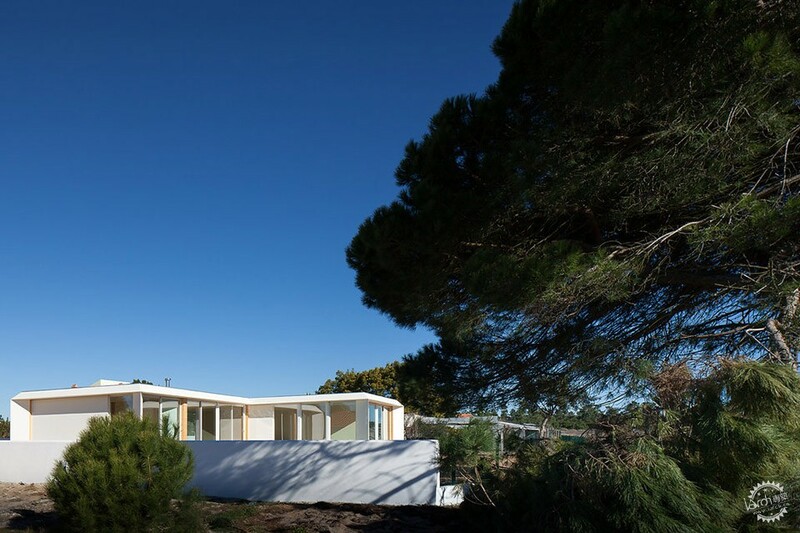 L-shaped MiMA: a sharp white volume laying amidst Alentejo's beautiful landscapes. 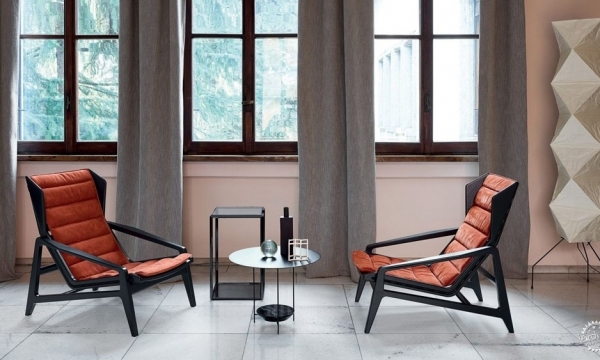 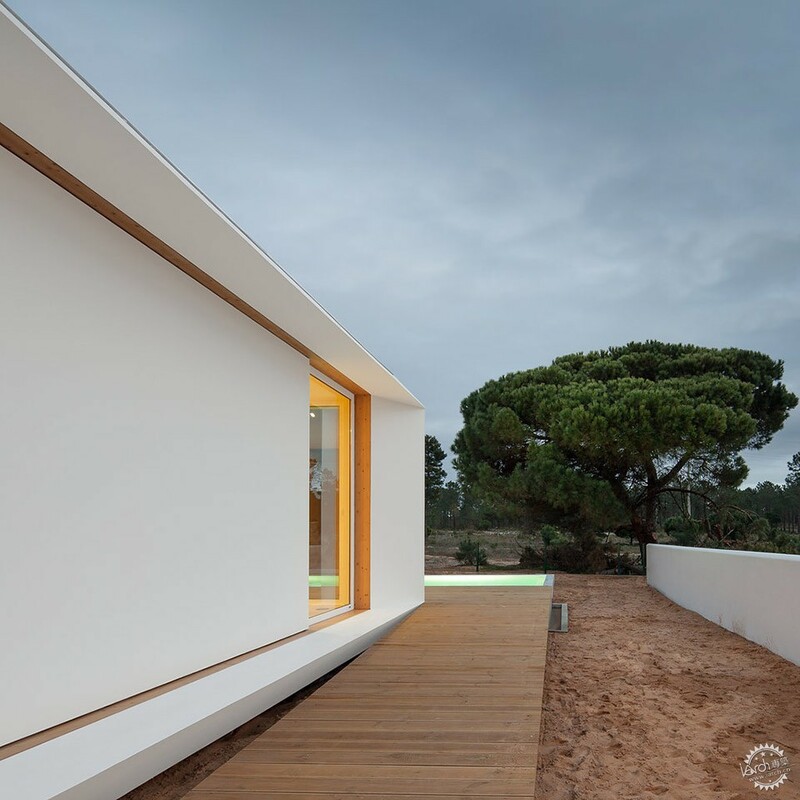 This summer house represents one of the multiple schemes possible to be built from the baseMIMA house with 36 sq.m. 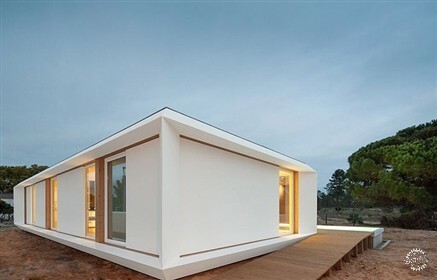 - and corresponding to the aggregation of 3,5 of these base units.MIMA is indeed a system that promotes the quick conception and production of beautiful houses, respecting a base 1,5 x 1,5 m metric for the space definition and using common prefab base components for each new construction, fastening the production process and empowering a flawless construction quality. 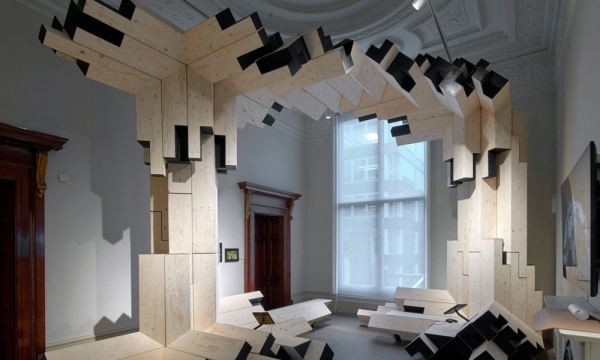 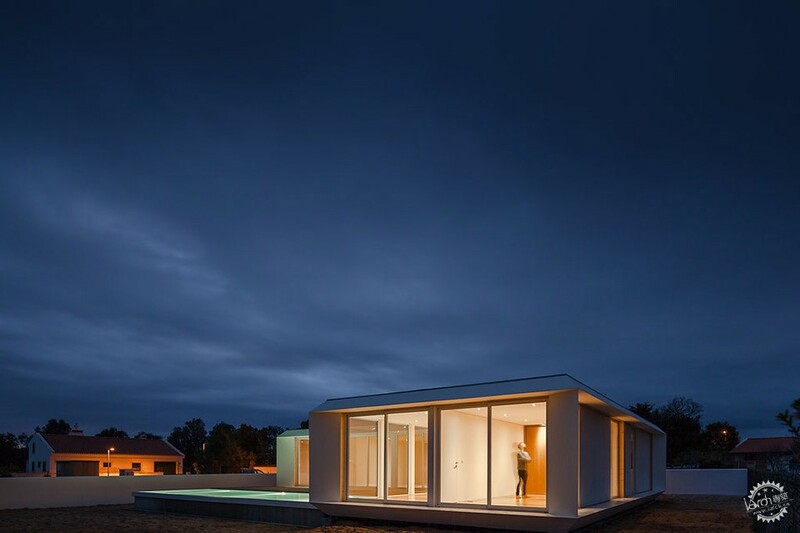 MIMA houses can be completely customized in size, spatial organization and materials. 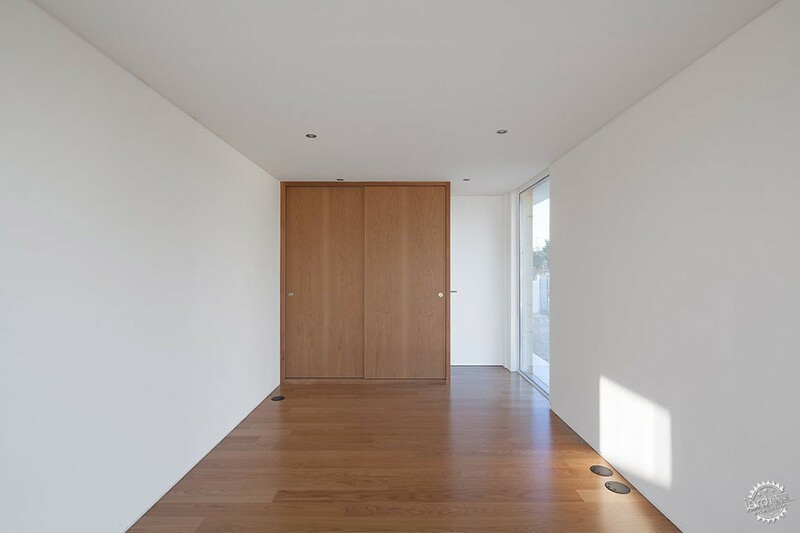 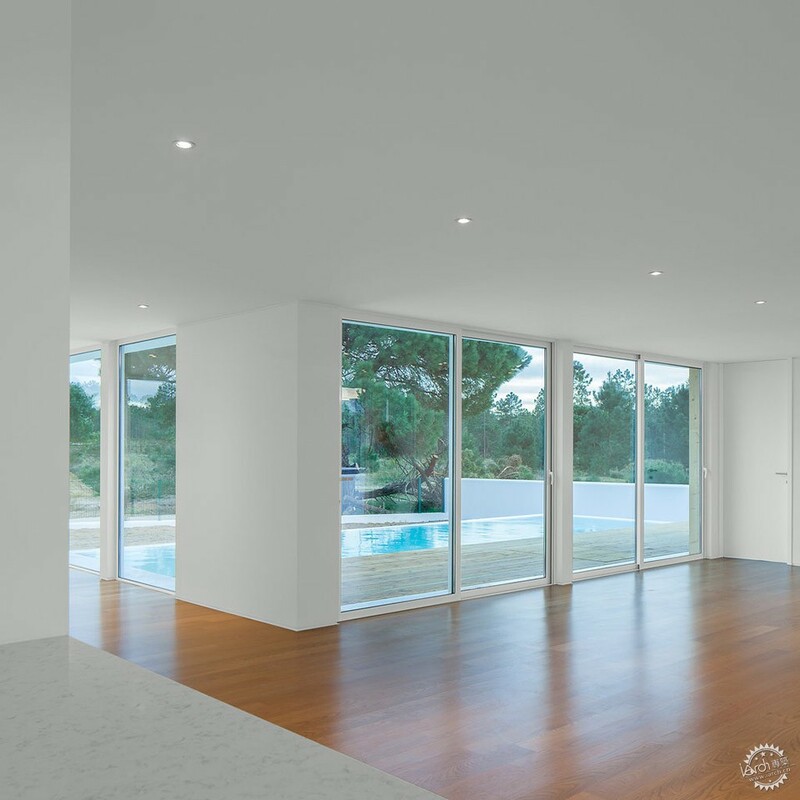 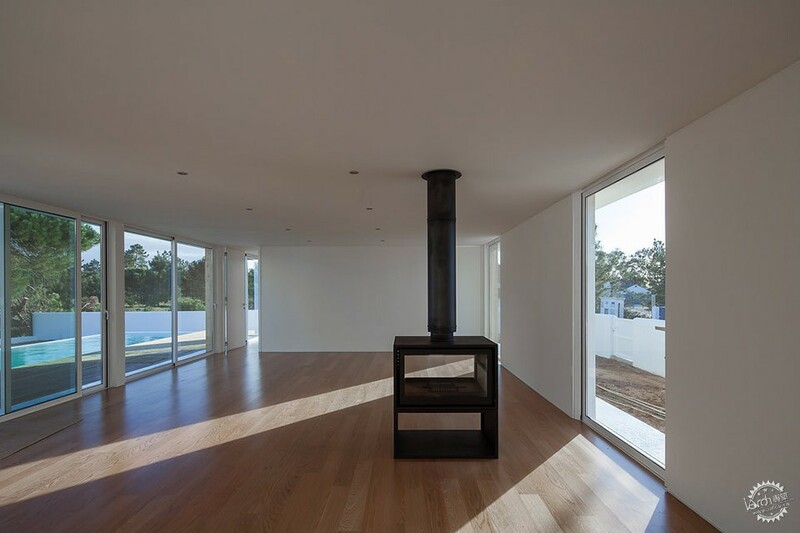 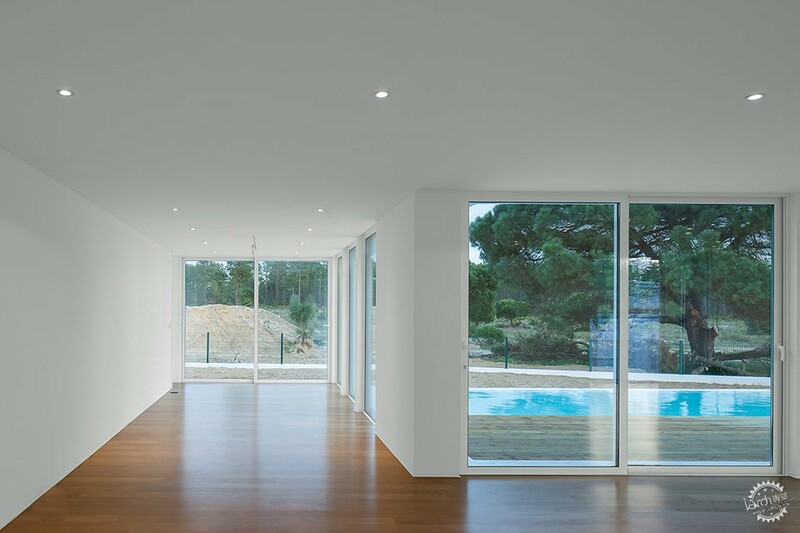 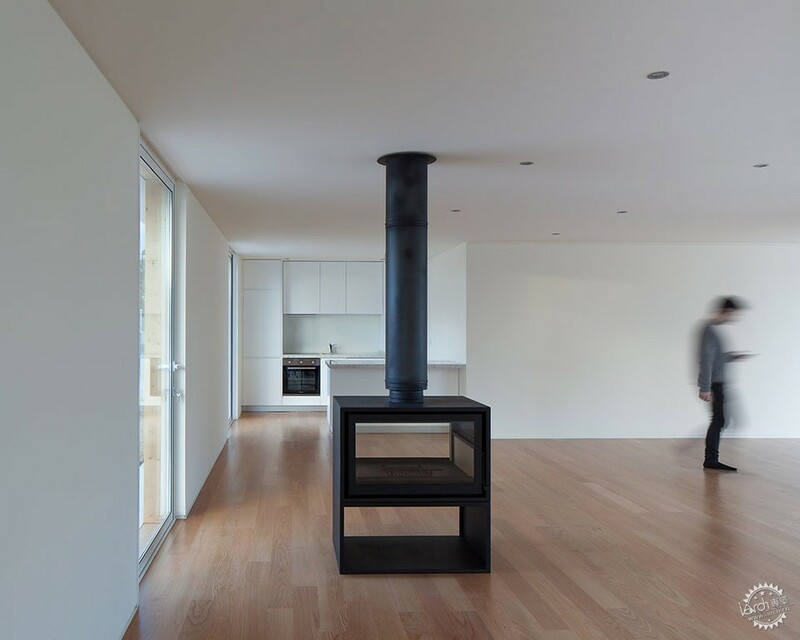 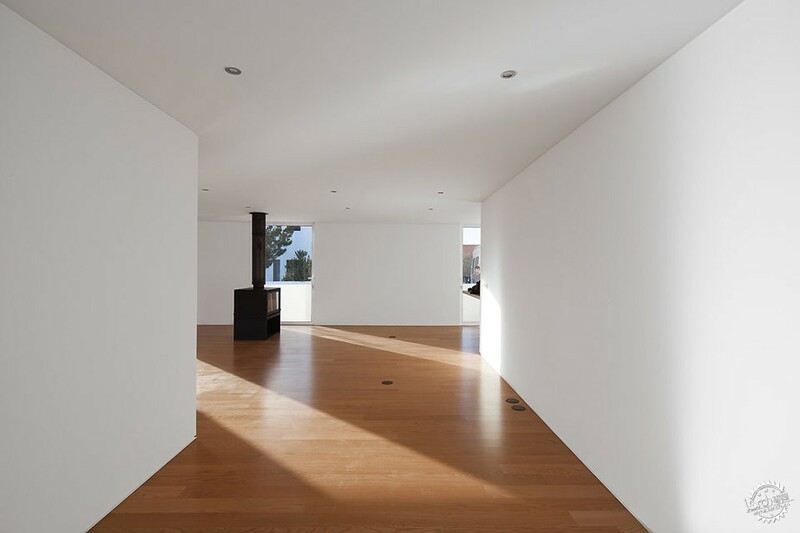 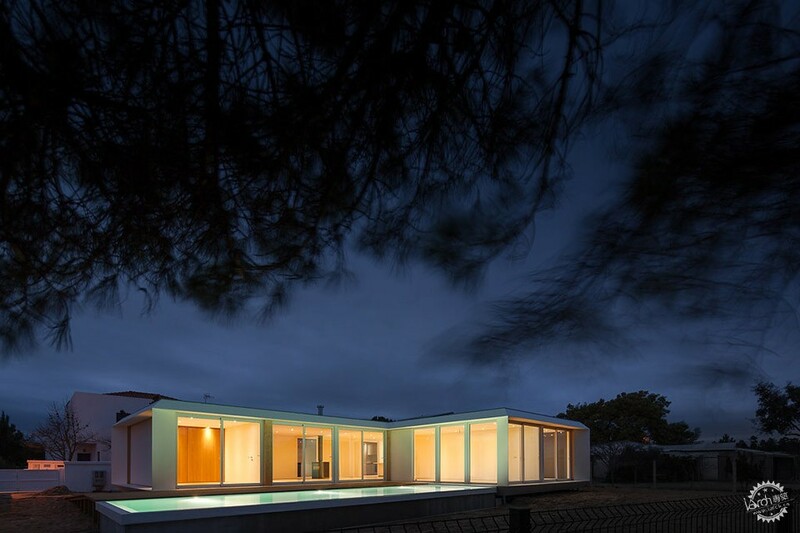 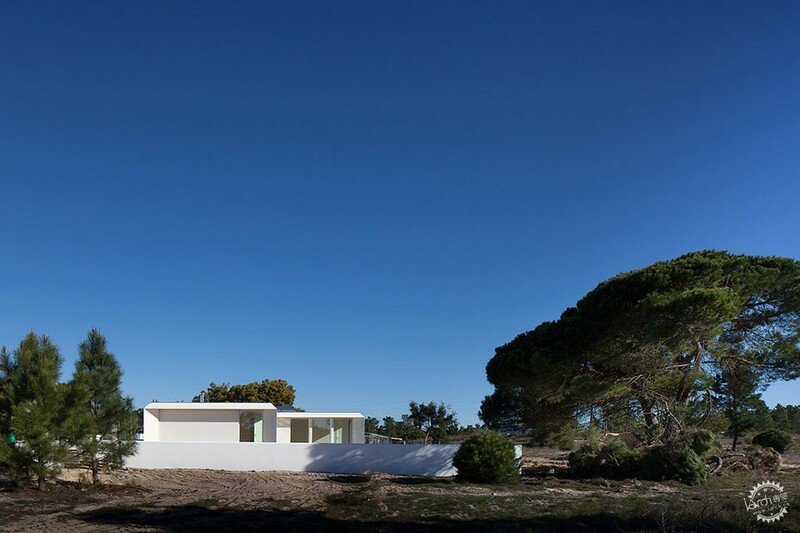 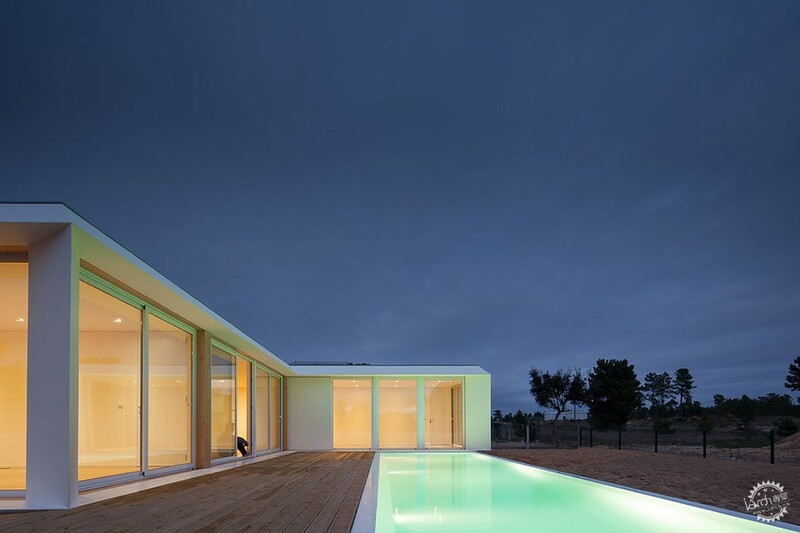 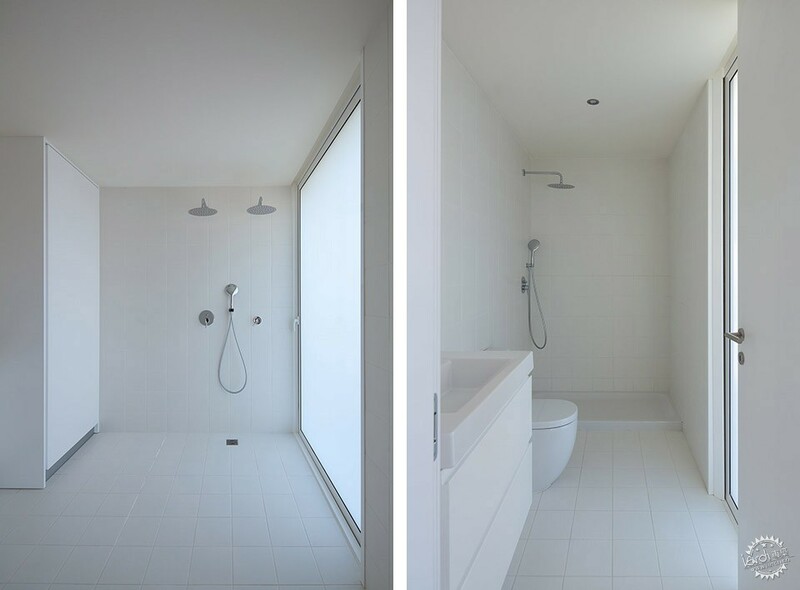 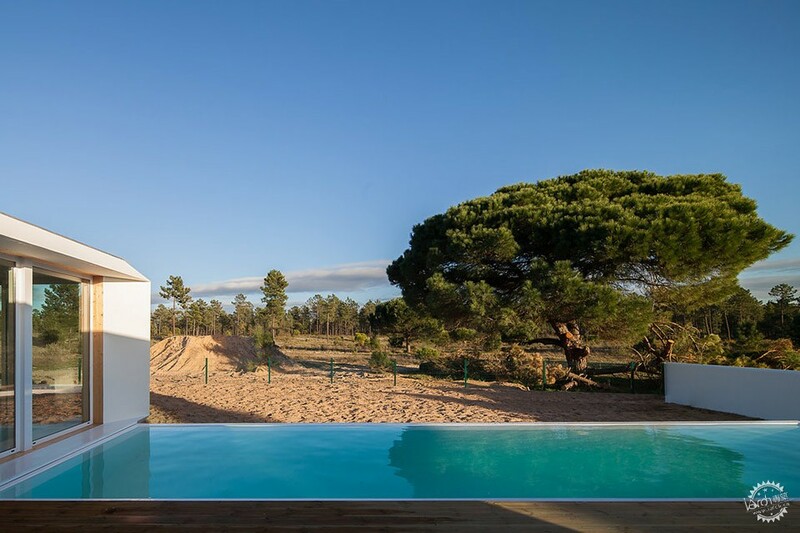 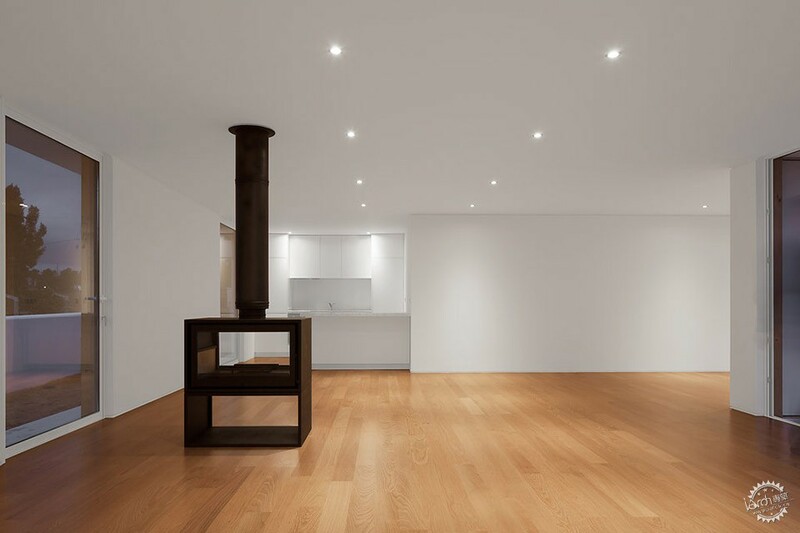 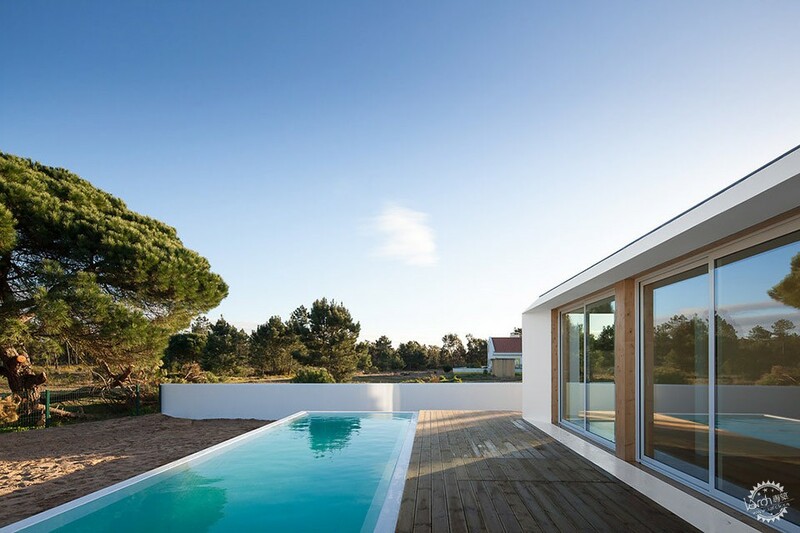 This specific house bears a minimal interior - clean lines of oak wood, plaster, white tiles - for the space to be in harmony with Alentejo's wide and flat landscapes. 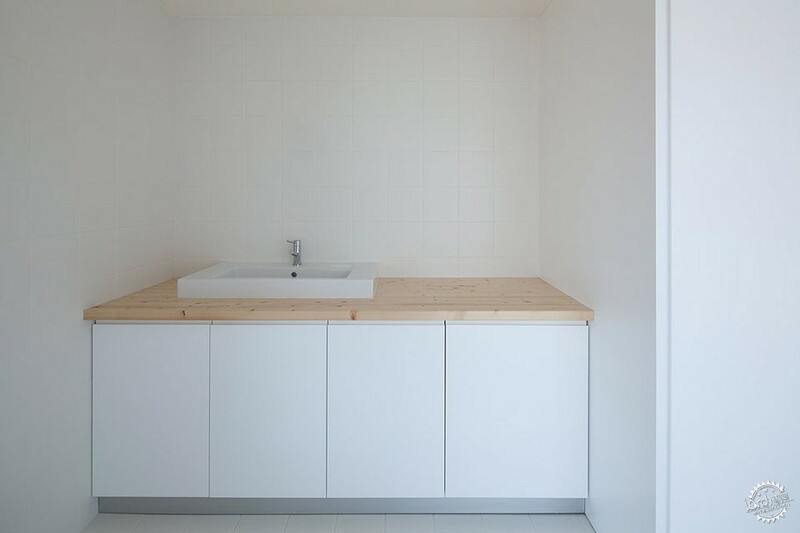 It has been totally built and assembled in 60 days.